Compulsory health insurance has arrived in Dubai. Having watched as Abu Dhabi, Qatar and Saudi Arabia established their health care schemes, Dubai has drawn on certain aspects of these schemes whilst ensuring that its own reflects the uniqueness of Dubai’s society. Approved by His Highness Sheikh Mohammad Bin Rashid Al Maktoum, Vice-President and Prime Minister of the UAE and Ruler of Dubai, Dubai Health Insurance Law No. 11 of 2013 came into effect on 1 January 2014 (Law). The aim of the Law is to create an integrated health system for Dubai, based on a sustainable financing system that supports the competiveness of Dubai and protects the rights of all participants. The Law phases in the requirement for all employers in Dubai to have in place compliant health insurance cover for their employees. It applies to all participants in the health insurance arena including health service providers, insurance companies, insurance brokers, claims administration companies, employers, sponsors and beneficiaries. This article discusses some of the principle features of the Law and what they mean for those involved in health insurance in the Emirate. When will the law begin to apply? companies with less than 100 employees, from 30 June 2016. The roll out phase also provides that dependents of sponsors, including domestic workers, must also be covered for the basic health coverage by 30 June 2016. What does this mean for me as an employee based in Dubai? The Law’s jurisdiction spreads across the entirety of the Emirate, including its development areas and free zones so eventually all of the nearly three million residents of Dubai, nationals and expatriates alike, should be covered. That said, the minimum cover offered will differ between residents and nationals with the later also having access to additional preventative and therapeutic health services. The schemes for both nationals and residents will at a minimum cover general practitioner visits, emergency treatments, referrals to specialists as well as surgical, investigative and maternity procedures. Separately, in the case of visitors to Dubai, the Law indicates that further regulation will be developed to provide for cover in the case of emergency treatments. Employers are required to put in place health cover for their staff that meets the minimum requirements of the Law. The Law stipulates that employers cannot simply pass on the cost of the cover to their staff and the Dubai Health Authority (DHA) has made clear that it will treat any attempts to do so seriously. As a means of ensuring cover is put in place and maintained, the renewal of an employee’s visa will be subject to the employee having health insurance in place. Employers have to provide a basic health coverage with an annual premium anywhere between Dh500-Dh700 and a maximum insurance cover per person per annum of Dh150,000. One of the key differences of Dubai’s health insurance regime is that employers are not required to provide coverage for the dependents of their employees. By making family cover compulsory, companies could be biased towards hiring single executives to save costs which could in turn shift the balance of Dubai’s demographic make-up away from its current family-orientated focus. Instead, cover for dependents falls to the sponsor themselves. So where a dependent does not receive cover from an employer, it becomes the responsibility of the sponsor to put in place and maintain the required cover (though this does not apply until July 2016). Failure by employers to provide insurance carries fines of between Dh500 and Dh150,000. Repeated breaches carry a maximum fine of Dh 500,000. The Law requires that health service providers, insurers, claim administration companies and insurance brokers have in place a licence should they engage in any health insurance related activities in Dubai. The requirement came into effect on 1 January 2014 with an unofficial grace period applying provided that participants lodged their applications with the relevant authority and the DHA before the 1 January deadline. Licences are valid and renewable for one year periods. The Law contemplates incoming regulations to address the specifics around the minimum cover that employers will need to provide. In addition, the DHA has indicated that they will be preparing regulations that govern the pricing of health services by providers and the premium amount charged by insurers to policy holders. There is a concern that the costs arising from the scheme be efficiently allocated to the various participants so, in order to restrict any particular sector gaining a disproportionate share of market power, pricing parameters may be put in place to ensure the scheme remains sustainable. Previous experiences in the Gulf have also shown that in the race to offer the lowest prices, insurers have offered health products at below cost prices. This pricing is achieved by insurer’s subsidising the cost of their health products from their more profitable product lines. Whilst prices are low for the insured in the short term, experience has shown that such practices are not easily maintained and can create issues with the stringent capital requirements that apply to insurers. In order to address this issue, insurers may be required to submit certification from their actuaries to the effect that the premium will sustain the costs of the product without cross-subsidisation. 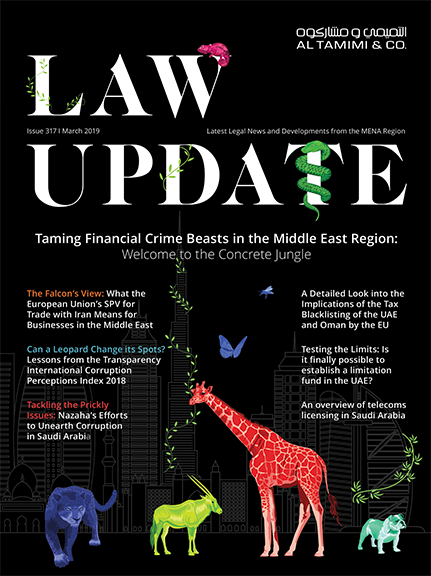 It will be interesting to see how the incoming regulations will interact with the U.A.E.’s recently enacted competition law which itself provides for a restriction on companies setting prices less than the actual cost of producing the product or service. The new health insurance regime in Dubai looks to be a considered and timely step in the movement for universal health care throughout the Gulf region. Although there have been questions raised as to the lack of homogeny of the various regimes, it may well be the better strategy to allow time to show which proves the most efficient before attempting to create a single, consistent regime for the entire region.